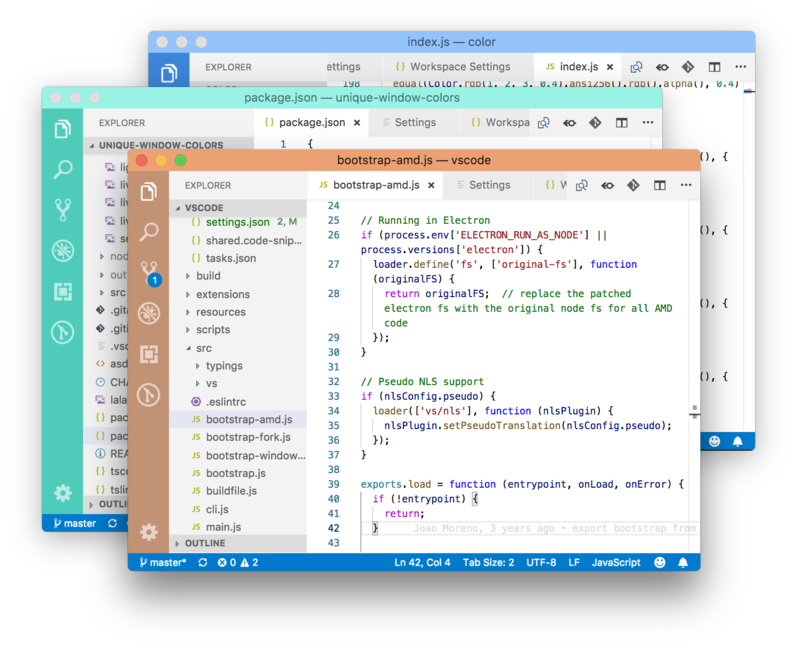 Visual Studio Code>Themes>Window ColorsNew to Visual Studio Code? Get it now. Automatically adds a unique color to each window's activityBar and titleBar. 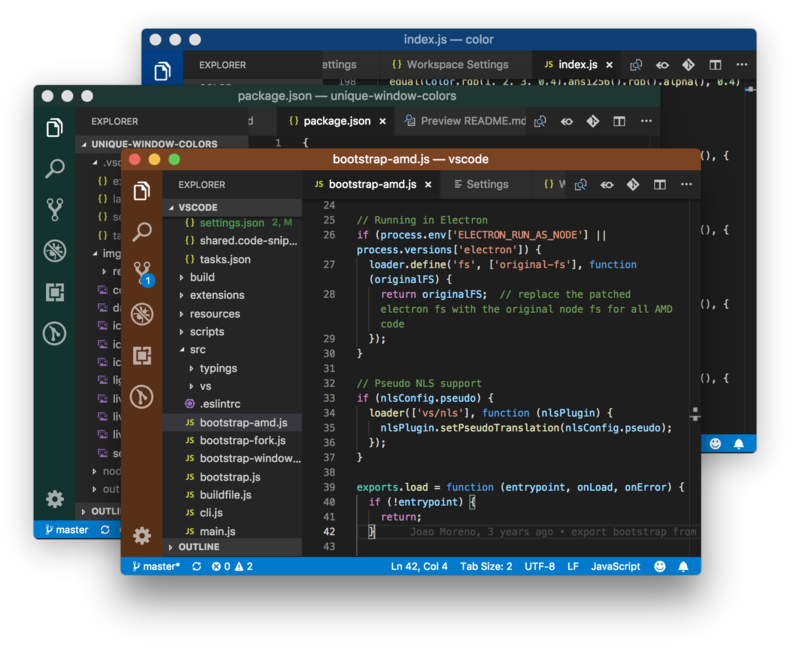 Uniquely and automatically colors each VSCode window. The extension deletes this file and folder each time the VS Code window is closed unless the colors have been modified or unless they contain any other settings. You can optionally set a single Base Color (see Window Colors settings) by hex code or css color name. Colors do not get overwritten. This allows you to set custom colors (or a single Base Color). To switch between light and dark themed colors, you must first delete the current colors from .vscode/settings.json. You can do this manually or by or selecting remove in the extension's Window Colors: Theme settings and reloading the VS Code window. Workspaces containing multiple root folders are not currently supported by this extension. The current behavior for multi-folder workspaces is that the workspace color settings will be set by the first window opened, and can be saved in the workspace's <workspace-name>.code-workspace configuration file. Workspace root folder detection function adapted from https://itnext.io/how-to-make-a-visual-studio-code-extension-77085dce7d82 by Van Huynh.